Making updates to your swimming pool once it’s drained or when it’s first being installed can go a long way towards the longevity of the pool. While the pool tiles may seem only like an aesthetic choice to consider, you can make a big difference in the longevity of your swimming pool with tiles that are known for being low-maintenance. 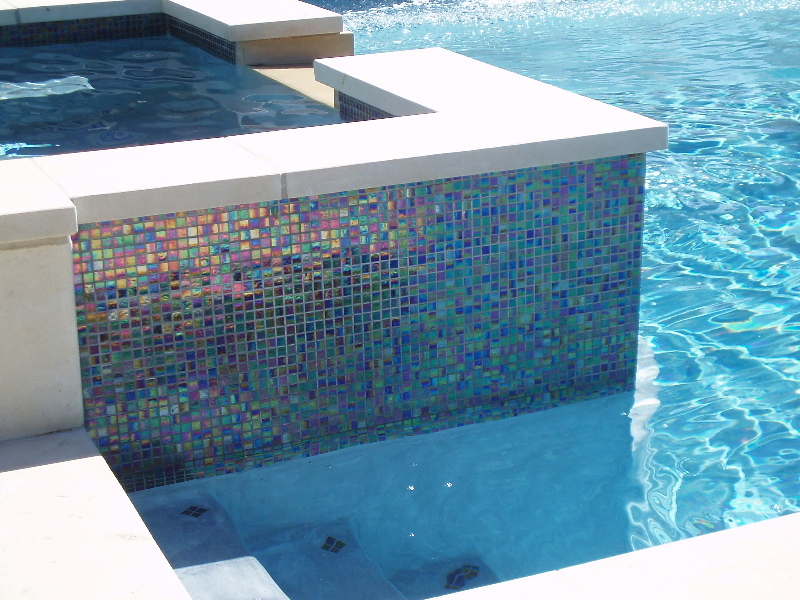 Pool tiles can range considerably in color, allowing you to pick anything from a pearl white to a dark blue. While lighter colors of pool tile can make the water look clearer, they can also show wear a lot more significantly then pool tile that’s a darker color. Sticking with shades of blue to help the water look as sparkly as possible is a good start, along with simply looking for darker colors of pool tile. As you check out different pool tiles available, don’t be afraid of spending a bit more money in order for you to have the durability that you want. Cheaper tile can crack easier or become discolored to pool chemicals, making it important to look for durable porcelain tile that will last for years after being installed. The shape of the pool tile itself can allow you to add a lot of customization to the swimming pool without sacrificing on durability. Looking into the different shapes of pool tile available can allow you to pick out tile that will fit into the swimming pool nicely without making an impact in the durability of your swimming pool. If you’re still stumped over all the choices of swimming pool tiles available, you can contact us anytime to discuss your options. By keeping an eye out for tile that won’t be worn down a few years after it’s installed, you can feel good about the swimming pool being in good condition years later. So What’s The Big Deal With Calcium Deposits?